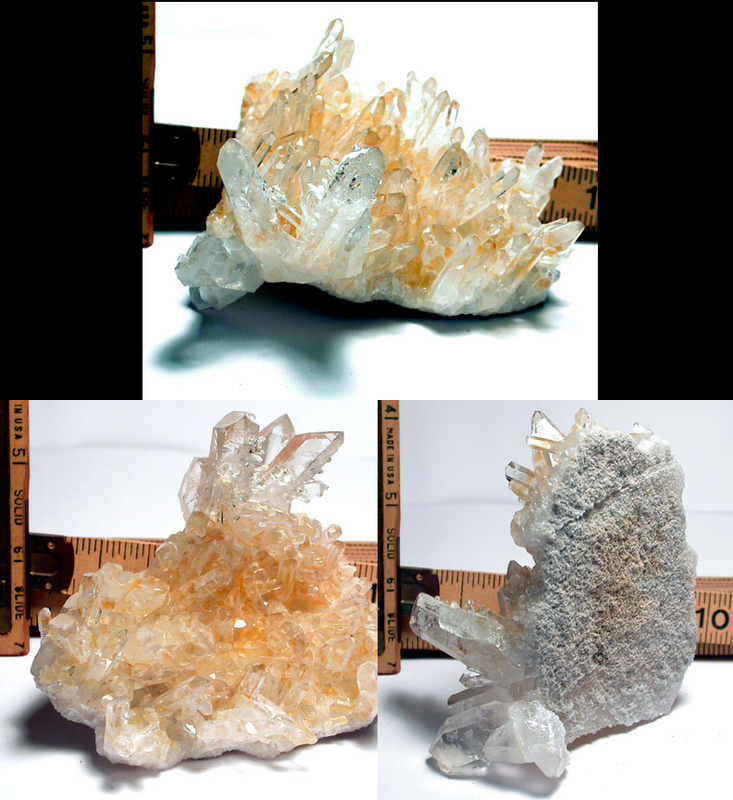 3"x 3-3/4"x 2-3/4" tall brilliant and clear Collier Creek dark golden healer to clear crystal cluster has a paper-thin sandstone base. Several points with uncommon 7h faces, many penetrated crystals, twin crystals, rainbows and no damage. 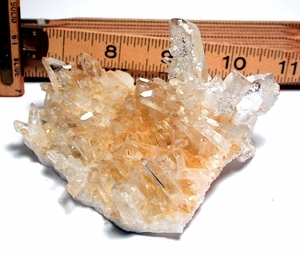 Largest crystal measures 1/2"x 2-1/4". Golden healer crystals have iron included and sometimes, occluded also. Their coloring is natural and unaltered by cleaning, ranging from pale champagne yellow to dark reddish orange...happy and grounding, healing from Arkansas.